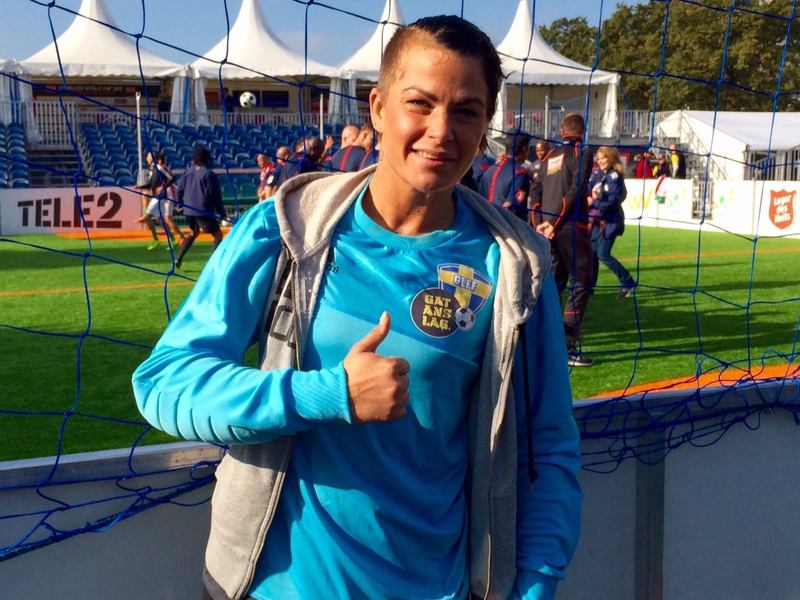 Former street paper vendor Jasmin Pantzar Eriksson only trained with the Swedish team for two days before they flew out to Amsterdam. But that hasn’t stopped the Gatans Lag player from saving goals left, right and centre during the Homeless World Cup this week. A last-minute addition to the team, the 33-year-old from Gothenburg has a confession to make. “I don’t like football!” she laughs. If Jasmin feels a little rusty on the pitch, she doesn’t look it. Earlier today, she was instrumental in helping her team reach the semi-finals of the Women’s Plate competition, with a 5-3 win over the USA. Jasmin has been homeless for seven years. During that time, she has battled drug and alcohol addiction, been in and out of prison and has moved between hostels and transitional housing. At a low point in 2006, Jasmin heard about an NGO in her home city of Gothenburg that helps homeless and disadvantaged people get back on their feet. She tells me she sold the street paper Faktum for four months to help her stay of the streets. “I was living in a shelter centre and had to pay for my room. It was very expensive and I needed the money so I contacted Faktum,” says Jasmin. She adds that selling the paper is a huge motivation to stay away from drugs and crime. “It helped me earn money and made my day meaningful. I was not just doing drugs or drinking. I felt like I had a job to go to,” she says. Jasmin says the support street papers like Faktum offer people is invaluable. “They give you an opportunity to grow as a person first and to see that you can make money without doing crimes, doing drugs or anything bad,” she says. 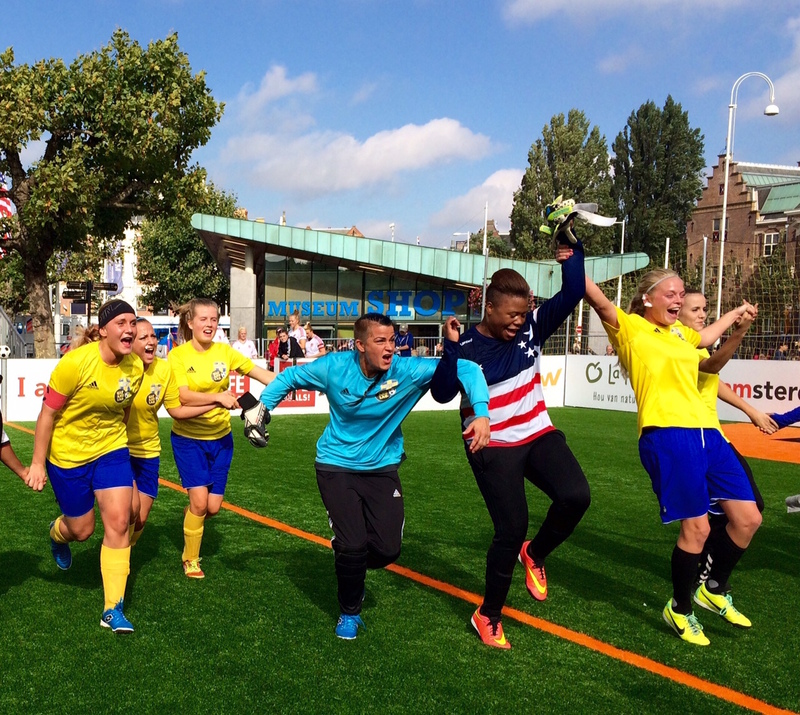 Even if her team doesn’t lift a trophy here in Amsterdam, Jasmin already feels like a winner. She hopes to find a job when returns to Gothenberg and is looking forward to moving into her own home later this year.